Toyota is the number one selling car brand among African-Americans. After test driving a few cars in the line up, I may have some theories about why that is. 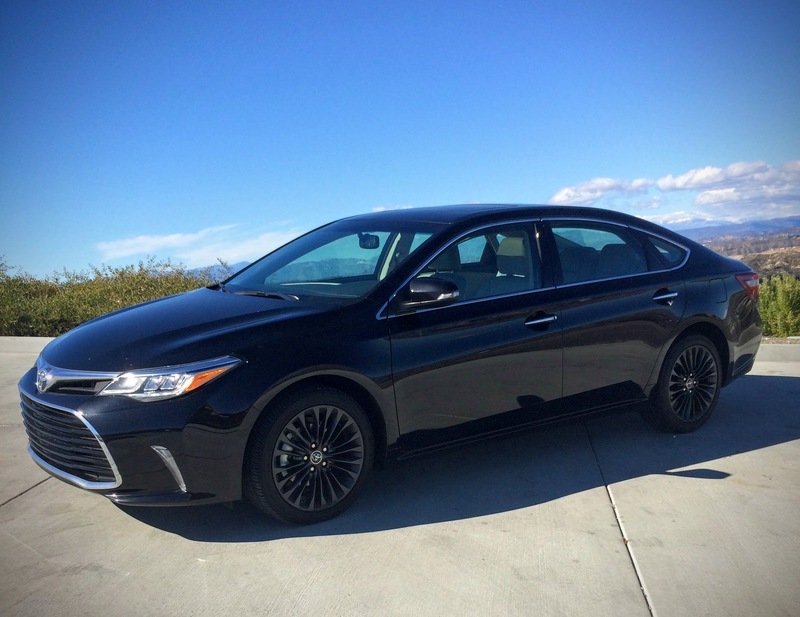 I had the chance to kick the tires of the 2016 Toyota Avalon on the streets and freeways of Los Angeles. Although I wasn’t completely bowled over by the vehicle, other people from a certain, more distinguished age group seemed very pleased with it. 1. Stretch Out Space: Like luxury would demand, the Avalon gives passengers and the driver plenty of space to give their limbs some breathing room. In some ways, the car feels chauffeur appropriate. Besides the stretching space, there’s plenty of storage for cups, purses and more. 2. Classy Look: The Avalon is stylish. While chatting with people who asked me about the car, I often caught them giving the car an approving look. More often than not, there were second looks and comments like, “Whose car is that out there?” and “What kind of car did you say that is?” When they learned it was an Avalon, the men would go and take a long look, admiring the body style. On the inside, the leather interior and wood grain finishes added an element of class people don’t often expect from a Toyota. 3. Smooth Ride: The ride fits the look. It’s smooth, relaxing and comfortable. Every once in a while there were a few felt bumps, but for the most part, the Avalon felt just as smooth as its name. 4. Updated Tech, but Classic Design: Toyota is keeping up with technology via great features like touch screen navigation, head up displays and more (perks vary depending on model). One of my favorite additions to the design of the Avalon is the door lock system. Instead of fumbling around looking for your key, just keep it in your purse. When opening the car, a light touch to the door handle unlocks the car. Starting the car is just as easy with a push button start. And locking up is super simple with a light touch to a different area of the door handle. The technology is easy to adapt to and convenient. Although the tech is up to date, I did notice that some of the button designs looked like older Toyota models. 5. Navigation TLC: One thing I need in any vehicle is navigation. The Avalon has a pretty decent “Navi” with a few hang ups, including slow recalculation and outdated maps. While that seems a bit detrimental, know that it works well most of the time and getting lost isn’t a common occurrence, although it did happen once or twice. 6. Luxe for Less: The Avalon is an exceptional vehicle for a reasonable price. Drivers can experience luxury, class and the reliability of a Toyota for less than some of the competition. Who wouldn’t want that? Although it’s a nice car, I noticed the accolades came from a more mature crowd. It seems the Avalon tends to attract buyers of a certain age and those who have an affinity towards cars like Cadillacs. Overall, the Avalon is a good one with great curb appeal, the reliability of the Toyota brand and updated technology.